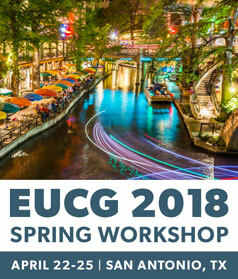 The EUCG Spring 2018 Workshop will be held at the Hyatt Regency San Antonio April 22-25, 2018 in San Antonio, TX. Take advantage of plentiful opportunities for industry education, training and networking while enjoying the colorful and exciting events surrounding Fiesta San Antonio! Bob Edwards is a Human & Organizational Performance (HOP) practitioner. Bob works with all levels of an organization, teaching HOP Fundamentals and training and coaching Learning Teams. Through the use of Learning Teams, companies and organizations are gaining a much deeper understanding of their operations and the complex nature of work. Bob leads organizations away from the blame model and deeper into collaboration. This, in turn, is leading to more thorough, meaningful and sustainable solutions to issues in safety, quality and operations. Bob has a BS degree in mechanical engineering from Tennessee Technological University and Master’s degree in Advanced Safety Engineering Management from the University of Alabama Birmingham. His work experience includes time as a maintenance man, soldier in the U.S. Army, a design engineer, maintenance and technical support leader and most recently in safety. Bob has worked for the past 16 years in the General Electric Appliances Division. The full workshop agenda is now available! We encourage attendees to view sessions from multiple committees to gain a well-rounded view of EUCG’s offerings. Be sure to look at our new PV Solar Committee’s agenda as well and see if membership in this committee may be right for your company. We are excited to have our Spring 2018 Workshop at the Hyatt Regency San Antonio, situated directly on the vibrant San Antonio Riverwalk. Take advantage of the Hyatt’s close proximity to San Antonio’s cultural center by checking out the city’s museums, shops, restaurants and nightlife, all within a short walk (or water taxi ride!). The EUCG room block is now closed. 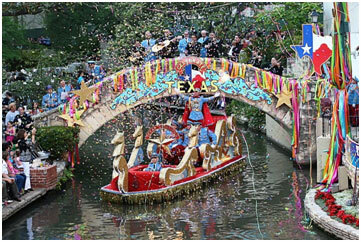 Join us for a taste of true San Antonio culture as we view the Texas Cavaliers River Parade from our own grand balcony at Biga on the Banks, one of the city’s most popular fine dining restaurants. Enjoy the delicious blend of authentic Mexican and American cuisine, and network with international electric utility leaders while watching festively decorated floats drift down the river. The evening will feature private balcony viewing of one of San Antonio’s biggest celebrations, drinks, dinner and dessert. Be sure to join us for an evening full of networking, food, and festivity!